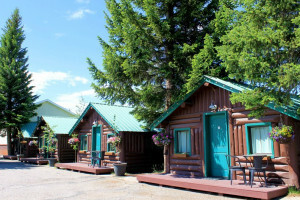 West Yellowstone Montana Luxury Lodging offers nothing but the most comfortable accommodations, superb hospitality, and attention to detail, designed to help you relax and truly enjoy your vacation in West Yellowstone MT. 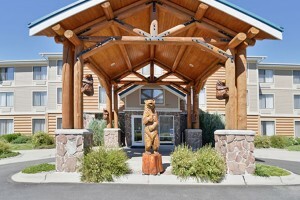 Discover opulence in these beautiful West Yellowstone Montana Luxury Hotels and Lodges. We feature an expansive pool & hot tub, are Kid & Pet Friendly, just a block to the Park w/expanded Continental Breakfast & hot protein. New room additions in 2018. 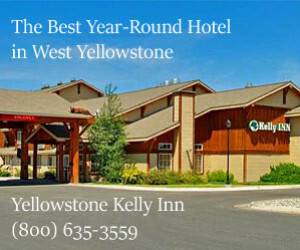 Open early May-mid October, we are one of West Yellowstone's finest and most comfortable hotels featuring indoor pool/jacuzzi & complimentary breakfast. Well appointed rooms. 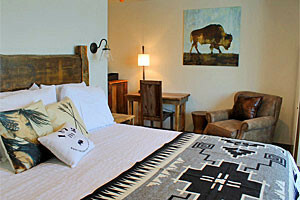 Discerning adult travelers who love outdoor adventure will appreciate this unique Big Sky Country lodging experience. 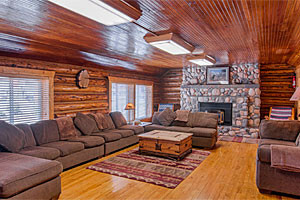 Upscale rooms, delicious breakfast, sauna & shuttle. 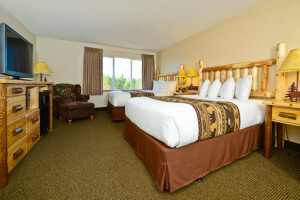 One of West Yellowstone's best upscale lodging options, we provide indoor POOL/Hot Tub, deluxe continental breakfast and lots of extras for families and kids.